Until a decade ago, we would have to go to several shops and stores, to do our household shopping. Then came the supermarket, and in today’s scenario, with Food Bazaars, we have the option of shopping for everything related to the home, under one roof. Similarly, before the advent of the departmental store, one would have to go to as many as 10 stores to buy different items of clothing, accessories and so on. Now, with Pantaloons, Shopper Stop and other such departmental stores, we can be in the cool confines of a well appointed multi-level store that stocks everything from socks, to suits, to shoes. 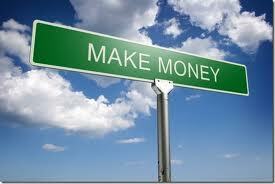 This has meant a transforming change in our buying habits and patterns. Gone are the days of store-hopping, and in are the times of the all-under-one-roof convenience. So why must it be any differentwhen it comes to our home electrical needs? After all, this too is a widespread product category that includes several things that we have to hunt for at different shops. Well, those days of hunting for wires at one hardware store, and switches at another, are also thankfully behind us. Say hello to the electrical mega-store! Geysers, Motors, CFL, Wires & Cables, all the way to Circuit Protection, Capacitors, and Fans; even Lighting and the extremely popular Modular Switches; all this and more is now made by the same brand, and the choice of brands here is world class and endless. And the best part, these brands have stand alone flagship stores. Think of them like supermarkets for all your electrical needs, where under one giant space, you have all the convenience and luxury of experiencing all these products in real world situations first, and then, buying whatever you need, all at the same place! The super store of the 21st century has made strides that are revolutionary, and continues to innovate and accelerate, and challenge convention. A one stop shop, unlike any other! Not Just Any Other Switch! Did you ever imagine that switches could be of any more use than just turning things “on” and “off”? In fact, they can do a lot more than just control your electrical appliances. Crabtree, a pioneer in the switches industry, helps you do just that extra bit! Crabtree’s ranges Athena, Thames and Piccadilly are a fine blend of art and science, I must say! Not only are these names unique, but their features are too. 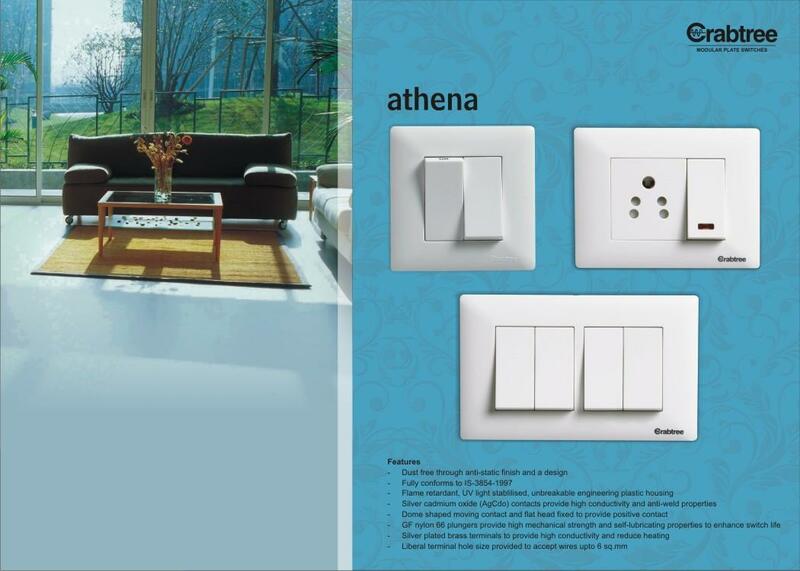 For instance Athena switches are dust free, having been especially designed for rugged Indian conditions. These switches are created with fire-retardant, self-extinguishing polycarbonate plastic and can withstand the glow wire test at 850 degrees C! Also, an ultra-violet stabilized material is used to avoid any discoloration from exposure to sunlight. Have you always wanted to give your house a classic look? Then Crabtree’s range, Thames is the perfect choice for you! It has been especially designed for high-end users to give your house an extra edge over others’. 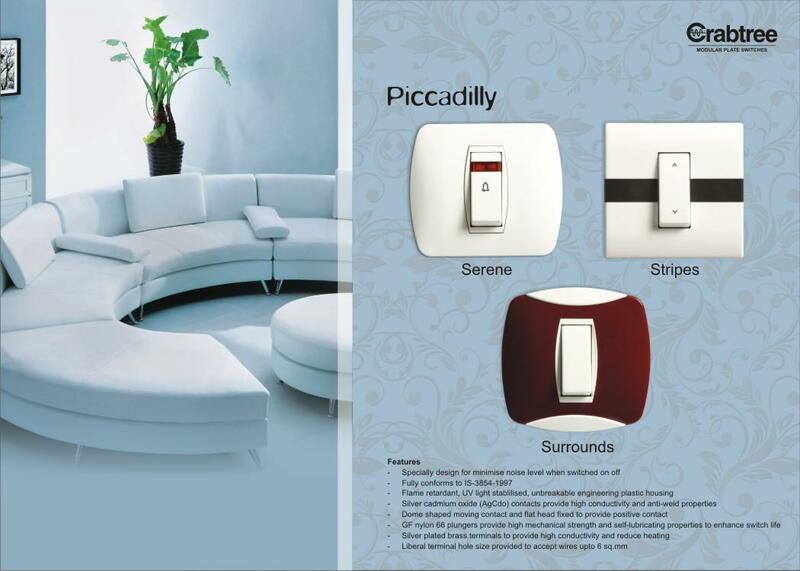 But if you prefer a serene atmosphere, then Piccadilly – the third range – is the best! 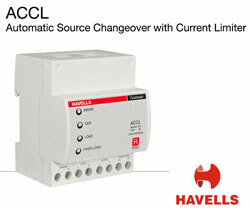 They have been specially designed to minimize noise level when switched on and off. The switches are flame-retardant, have a UV light stabilized and an unbreakable plastic housing. They have an advantage of having silver plated brass terminals that provide high conductivity and reduce heating. You will be glad to know that the range is available through a vast network of distributors, stockists and retailers across the country, ensuring effective services for its consumers. So, the next time you are out shopping for your home, remember that Crabtree is not just any other switch! Building a home, is a lifetime dream, isn’t it? But do we really pay heed to all the minute details required for building it up? The answer is no! Today let me share with you a recent incident. My friend bought a flat last week and asked me to accompany her to the new place. While taking a look at her house, all she would talk about was, which color shade will look the best on the wall?, what kind of interiors should be bought? When I questioned her, “What type of wiring have you chosen?”, she was totally blank! It was time for me to step in. We had a detailed discussion with the electrician and asked for the correct size and type of wiring to be used. The electrician guided us to get wire nuts and an MCB installed to reduce the risk of fire or shock. He got the wiring covered to avoid getting damaged by a dry wall or wall covering fasteners like nails or screws. He also made sure that the walls were clear of any wiring while getting wholes drilled as the wiring may get damaged. Your electrician is the most important person. He should be consulted at an early stage in the construction process to approve and supervise wiring. At the same time one should not be totally dependent on them and have thorough knowledge about what wiring is being used and why? Create a detailed map of your house wiring, you will make repairs and added extras far easier at a later date. It is important to have a central point in which all your wires run from. The most appropriate place would be next to your other electrical furnishings like the fuse box. The color coding of your wires and tubing can add to the ease of wiring your house. If you keep a check of what all the colors correspond to you will always know exactly what has been installed. 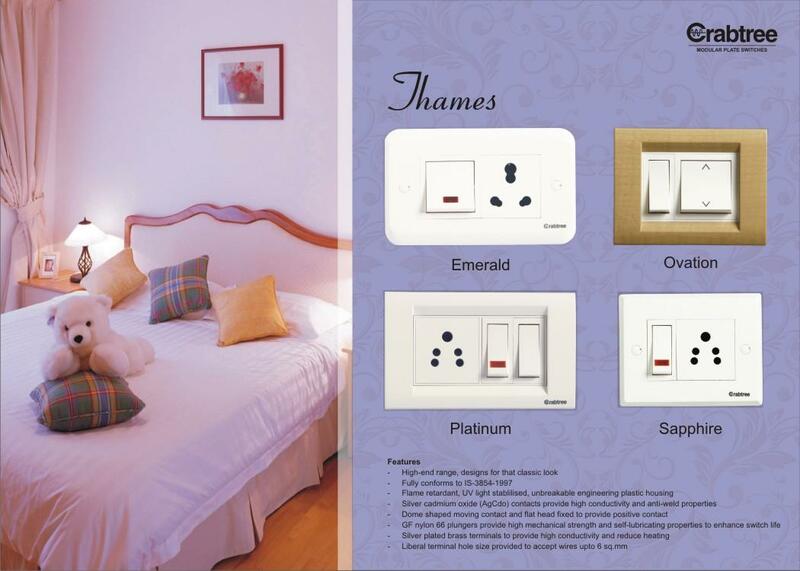 You must also ensure that you install basic sockets into each room like a plug and a phone socket. By doing this you are ensuring that you will not need to return to the wiring process again. 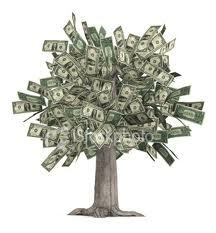 Although it may seem like a lot of extra work to begin with, it is all very time saving in the long run. 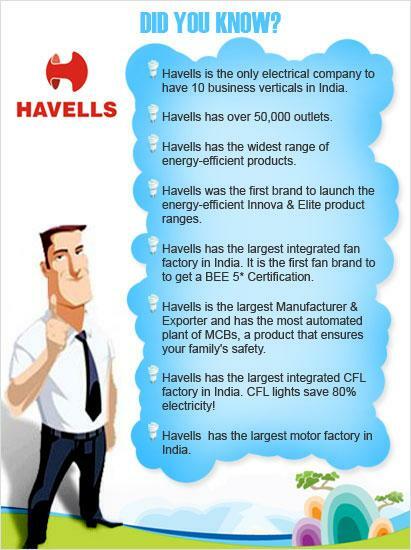 Havells offers a variety of wires and cables for your need. For instance, Havells ZHLS (Zero Halogen Low Smoke) wires are apt for being used for building new homes. Everyday thousands of hazardous Halogen gases are released in the atmosphere leading to the green house effect. Havells ZHLS wires contain practically 0% halogen with a very high oxygen index. These wires give your house superior protection against fire as they do not catch fire easily. They do not release hazardous gases which make them extremely eco-friendly. 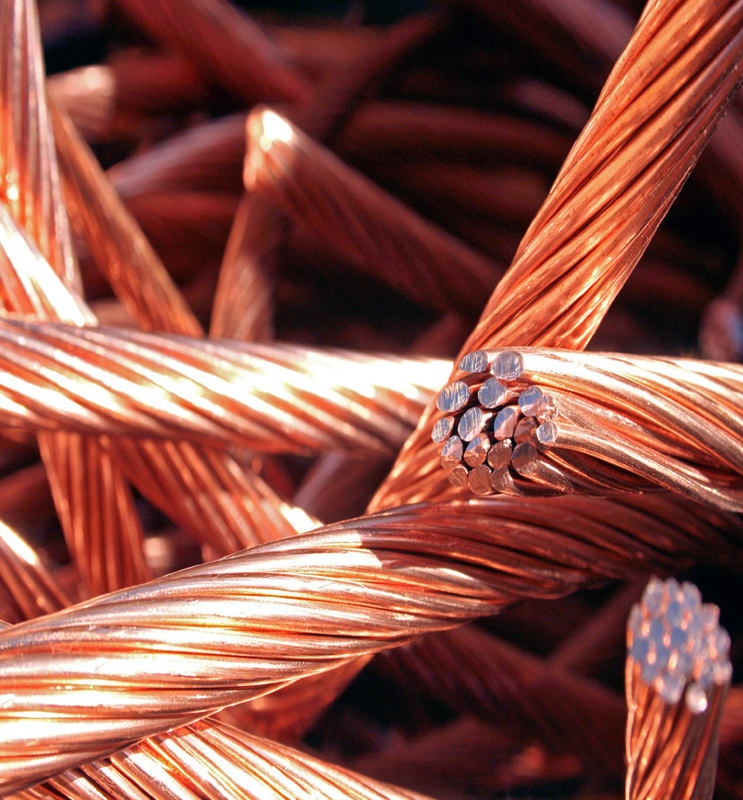 These wires make your house and the environment a safe place to live in. So the next time you plan to make your dream home, I hope you will put a conscious effort to get your own wire!